Double Hung Windows is the popular one offered by Ecowin. It is a widely accepted option for several residential and commercial establishments. Double Hung Window proves its utility where outdoor space is limited but widow is required to cover large areas. We Window Craft Private Limited leading manufacturing firm dealing in all UPVC Door and Double Hung Windows . 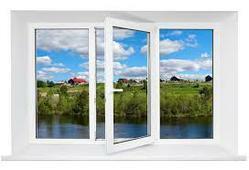 We are UPVC Double Hung Windows manufacturer in Delhi India. 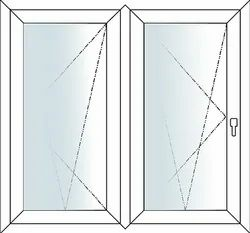 By keeping track of the current market needs, we are engaged in manufacturing an extensive range of Double Hung Window. - Double Hung Windows / Doors: A window with two vertically sliding sashes which by-pass each other in a single frame. In order to meet the various requirements of the customers, we are engaged in offering a wide assortment of Double Glass Window.